Home Job Tips FREQUENTLY ASKED IN FINANCE INTERVIEW | Why would two companies merge? 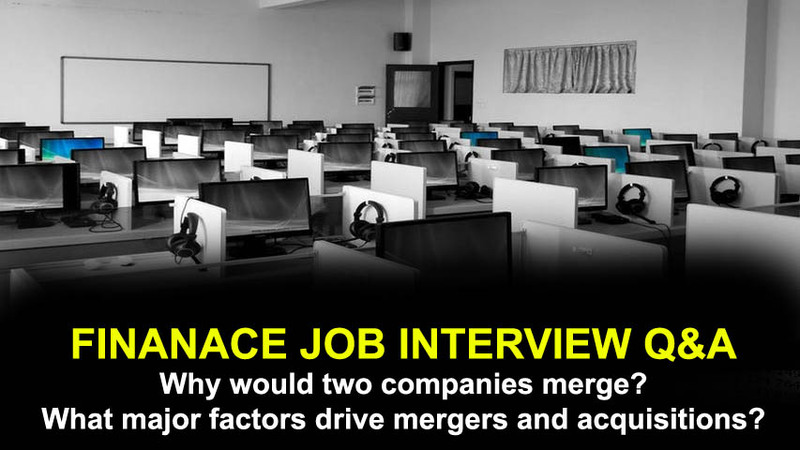 FREQUENTLY ASKED IN FINANCE INTERVIEW | Why would two companies merge? 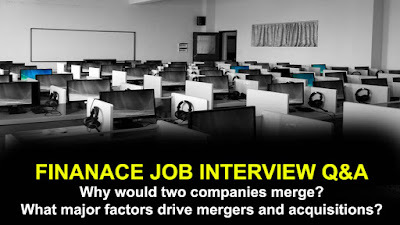 FREQUENTLY ASKED IN FINANCE INTERVIEW - Why would two companies merge? What major factors drive mergers and acquisitions? Answers : Mergers and acquisitions all have one underlying motive: to protect or improve the strength and/or profitability of the dominant company. There are major factors that drive mergers and acquisitions. One of the main reasons why companies merge or acquire other companies is to create a synergy (cost savings). Likewise another reason is diversification and to reduce cost of production, and thereby maximize profit. Similarly, Companies merge for the purpose of eliminating competition, and gaining a larger market share.